Indianapolis is the capital of Indiana State. First mentions of this city are referred to the 19th century. 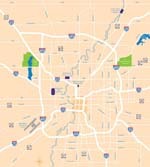 Indianapolis is the largest center of automobile industry on the west of USA. On the territory of the city are also opened several motor race tracks where are tested new models of cars and take place various sports competitions. Family holidays with kids in Indianapolis. How to entertain your child, things to show to children. Besides sport competitions many cultural events are organized in the city. Tourists can attend, for example, International Indianapolis Festival, Theatric Fringe Festival, Heartland Film Festival, Music Festival Midwest and Jazz Festival Indy Fest. The city is very attractive from the architectural point of view. Here you will find modern beautiful buildings, facilities from previous centuries, and wonderful buildings separated by park zones. Your walks in the city will be much more interesting if you mix them with visiting sights that are truly numerous in Indianapolis. The city has several botanic gardens and nature reserves, the most attractive of which is the park named “Butterfly Paradise”. Here you can see hundreds of types of different beautiful butterflies, pavilions with birds and picnic zones. Here you can see hundreds of types of different butterflies, pavilions with birds, and zones for picnic. Museum of Indiana State will get you acquainted with the development of the city. The collections of the museums demonstrate cultural, economic and military achievements. You will also find valuable historic and archeological artifacts in Museum of American Indians. The Indianapolis Arts Center is known far beyond the city limits. It occupies a complex of buildings that are on a territory of more than 12 acres. The complex includes 13 studios with modern equipment, which regularly host photo and art exhibitions. Also, there are three large exhibition galleries, a very interesting souvenir shop, as well as a large library. This center hosts a variety of cultural events dedicated to various areas of contemporary art. Lovers of natural attractions will like Fort Harrison State Park. Its area is about 1,700 acres. On the territory of this park, there are special paths for walking, and also various sports grounds and specially equipped places for a picnic. On the territory of this huge park, there are also some interesting historical sites. Here you can see the buildings that were erected during the Second World War for military camps. 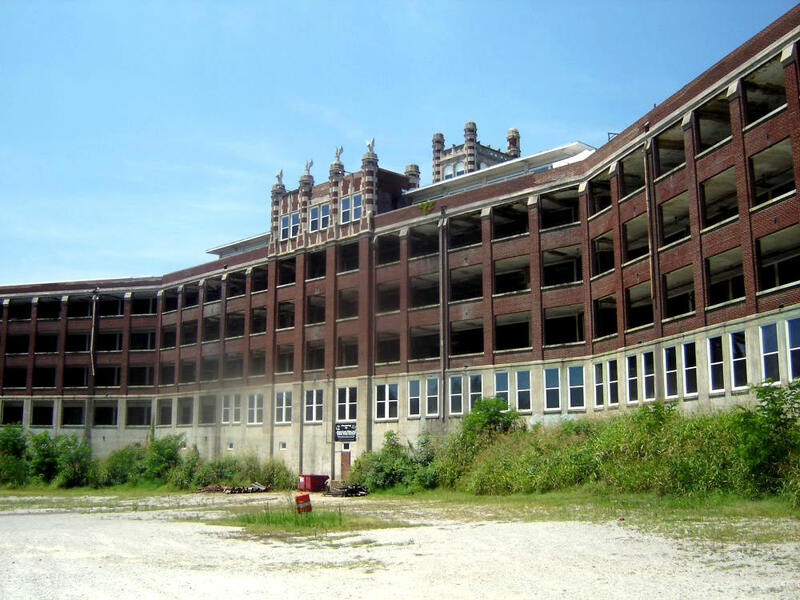 There are interesting attractions in Indianapolis even for the smallest travelers. They will be interested to visit the Children's Museum. It is more like a modern entertainment center, where children are invited to combine active rest with cognitive activities. In this museum, there is a climbing wall, carousels for children of different ages, and another 10 thematic galleries with interactive exhibits dedicated to various fields of science. In the heart of the city, is an interesting memorial complex, War Memorial Plaza. Its area is more than 10 acres. Here you can see a lot of interesting monuments, dedicated to the US military, who participated in various military operations. Now the territory of the memorial complex is decorated with beautiful fountains, and in the warm season, a lot of landscape decorations can be seen on its territory. A noteworthy excursion facility is the mansion of Benjamin Harrison. It is considered one of the most beautiful architectural monuments in the city. Over the years, this mansion has preserved its original appearance. Within its walls today, is an interesting museum of books. In addition to rare printed publications, museum visitors will be able to see a lot of other antiques, as well as the personal belongings of the famous owner of the mansion. This guide to iconic landmarks and sights of Indianapolis is protected by the copyright law. You can re-publish this content with mandatory attribution: direct and active hyperlink to www.orangesmile.com. Check on the map: Distance from Indianapolis center - 184.2 km. 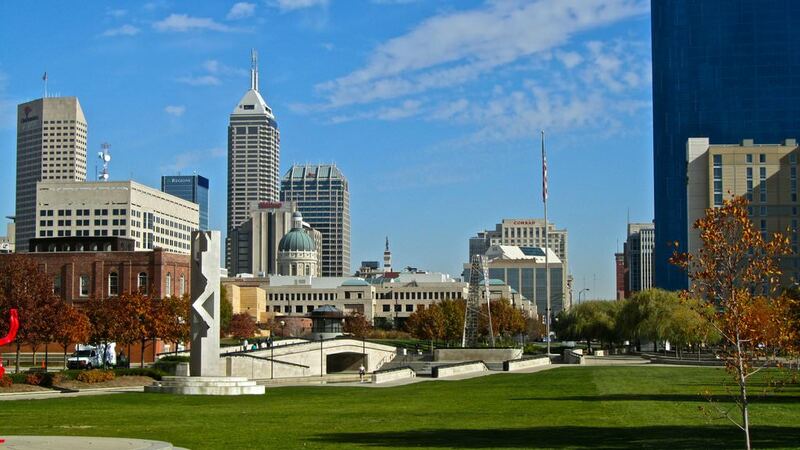 All about Indianapolis, USA - sightseeings, attractions, touristic spots, architecture, history, culture and cuisine. Prepare your trip together with OrangeSmile.com - find out the 'must see' things in Indianapolis, which places to visit, which excursions to take, where the breathtaking views are waiting for you. Planning your trip with this travel guide will help your to get the most out of Indianapolis in few days.